Installing double glazed windows in your home will not only significantly reduce street noise but also help to reduce your energy bills. That’s because your new windows will keep out draughts, improve security, reduce heat loss by up to 20% and cut down on the amount of condensation in your home. And if you’re considering selling your property, double-glazed windows will add 10% to the value of your home, according to property experts. 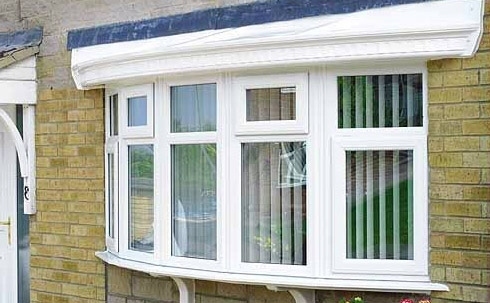 Cladform Home Improvements, which specialises in installing and maintaining double glazing, will ensure your new windows suit the style and era of your property. We’ve been installing and repairing double glazed windows in both domestic and commercial properties in Cherry Hinton and throughout Cambridge for over three decades. During that time, we’ve earned a reputation for providing the highest quality windows and outstanding levels of customer service. We’re members of the Glass & Glazing Federation, as well as FENSA Registered and a Trustmark-approved contractor so you can rest assured that you’ll be dealing with an experienced, professional team. What’s more, we offer an insurance-backed 10-year guarantee on the windows we install. To find out more about our installation and maintenance service, please call us now on 01223 211572 or contact us here.